Designed using lightweight and durable EPO wing construction, the FirStar is built tough. And it better be! 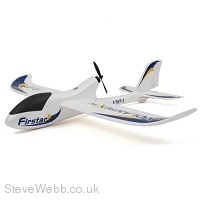 The perfect airplane for beginners young and old, the FirStar includes servos, an electronic speed controller and a brushless motor. Once in the air, beginners and experienced pilots alike will notice how well the FirStar reacts against wind and provides great gliding performance. 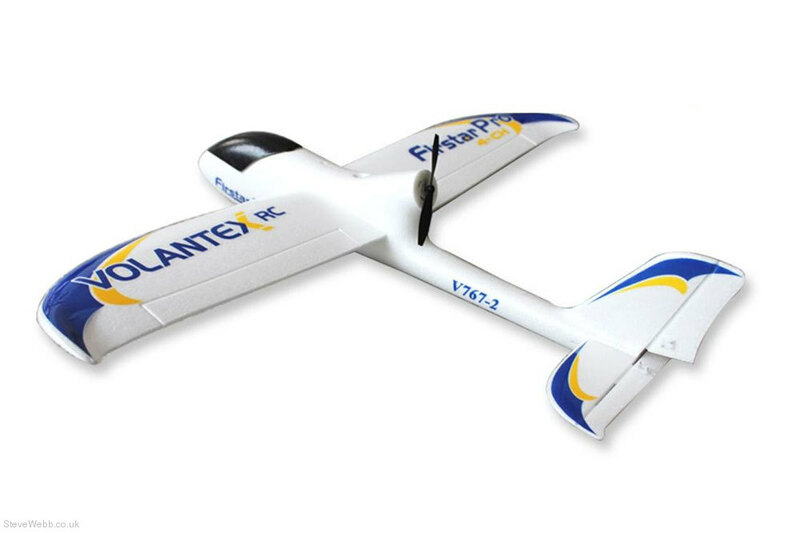 The kit is RTF with minimal assembly and even includes 4 x AA Transmitter batteries. 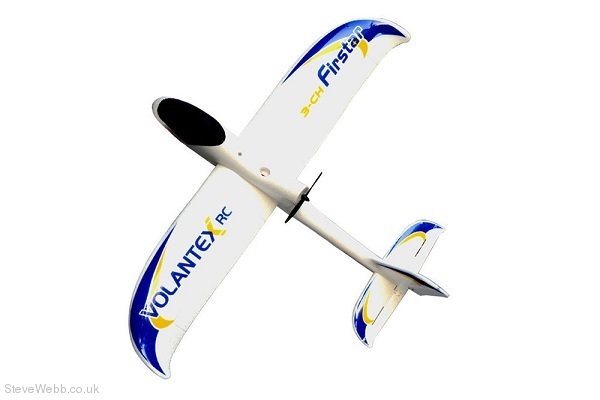 The perfect start up r/c plane for beginners and novices the Volantex Firstar comes ready-to-fly straight from the box, with just some simple assembly to be airworthy. The pusher prop design protects the propeller from possible impact damage, allowing for a more re-enforced front noise for extra strength during belly landings. Factory assembled with servos, electronic speed control, brushless motor and 2.4ghz radio system all installed. A simple handlaunch and you will be away. Once in the air, beginners and experienced pilots alike will notice how well the FirStar reacts against wind and provides great gliding performance. PLEASE NOTE: This model is sold in RTF (Ready-to-Fly) format and contains everything you need to get flying straight out of the box.